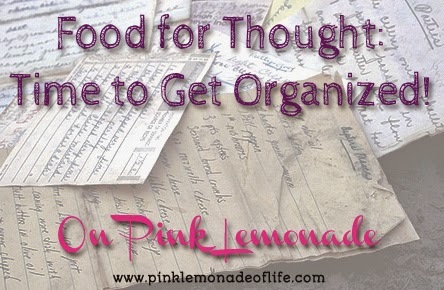 Pink Lemonade: Food for Thought: Time to Get Organized! Food for Thought: Time to Get Organized! As a cookbook writer and full-on foodie, you can imagine what my desk must look like. Yes, it is stacked with cookbooks, food magazines and recipes torn from magazines, printed from the Internet or scribbled furiously on my ever-present legal yellow pad. I have recipes; oh boy do have recipes. I had finally had enough of the mess and decided I did want to see the top of my desk again. I knew I'd have to really tackle the paper and get busy, so I put my little office supplies in order and planned my attack. And then, low and behold, in my email that same day are some tips for organizing your recipes from a popular magazine. Who knew? Yeah, those would work, if only I were born organized! So in lieu of their ideas (although two of them I already use), I'm going to give you my ideas on how to organize your recipes and menus. These really work-if I can use them successfully, anyone can! 1-Search and Destroy. Pull your recipes out of all those magazines and recycle the now-ravaged magazine. See how easy that is? Now go thru all those recipes you printed off the Internet. If you're SURE you still want them, add them to your stack o' recipes. 2-Sort 'Em Out. If you have a recipe for pork chops and another for blueberry muffins, you'll want them to be in separate piles (unless you eat blueberry muffins for dinner, LOL). Separate the piles in Breakfast, Lunch, Dinner and Special Occasion (which would be desserts, holiday recipes, etc.). I like only having only a few categories as it keeps the tabs down to a minimum. 3-Office Supply. It's time to go to your favorite office supply store (unless you already have these things-I do). You need a 3 ring binder, some plastic sheet protectors and notebook dividers/tab thingies-you know what I mean, and some sticky page flags (see #5 on what to do with the page flags). My personal preference for dividers is the kind you can write on, not those goofy windowed ones that require you writing on a miniscule piece of paper, folding it with origami-like precision and sticking it back into the teeny, tiny window. I'd rather have a root canal than do that. 4-Label Maker. Now label you're the tabs on your dividers. 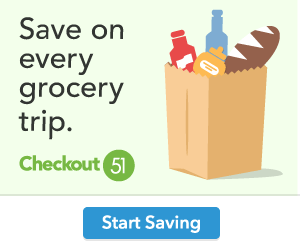 In addition to the tabs named in #2, you'll also want to have a Menu tab, Grocery List tab and even a Coupon tab (you can use a plastic sheet protector and put your clipped money savers in there for safekeeping. 5-Book Marker. For those cookbooks that you love and can't live without (gosh, I HOPE you have a Saving Dinner book in there! ), use those little page flags so you can go right to your favorite recipe without having to flip through the whole book or spend time in the index. You could even color code the page flags-hot pink for those recipes you love, green for the ones you want to try and maybe blue for the ones you might be willing to try. Then again, maybe not. I don't color code anything! 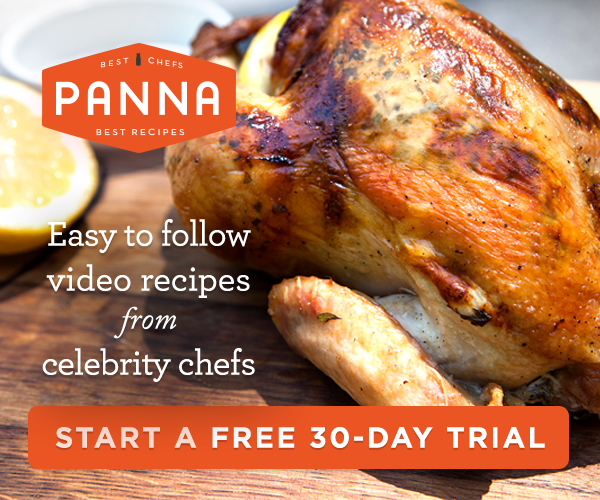 That's it-there you have it-a fast and easy method for getting all your recipes in order!